Why did Israel, the people of God, desire a human king? Why did God grant that desire? This course answers these and other important questions raised in Israel’s united monarchy as recorded in I and II Samuel and I Kings 1–11. Special emphasis is placed on archaeology, history, and theology. The course also considers parallel passages found in Chronicles and Psalms and focuses on Iron Age discoveries in Palestine as they relate to the biblical text. Davis examines the successes and failures of Saul, David, and Solomon and gleans practical truths from their lives. Acquire a competent working knowledge of the contents of the books of 1 and 2 Samuel and 1 Kings 1-11 with respect to theological themes, historical developments, personality profles, and archaeological problems. 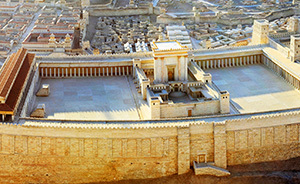 Have a basic understanding of the events surrounding the rise of the monarchy in ancient Israel. Arrive at fresh insights about practical Christian living as illustrated by the lives of godly saints who lived during that era.